Sustainable luxury has so far been mainly associated with fashion, but now it is also about interiors. Sustainable interior products and materials share the same qualities as luxury goods: they call for extraordinary creativity and design, they need to be made from exceptional materials, and they must be meticulously finished and presented. 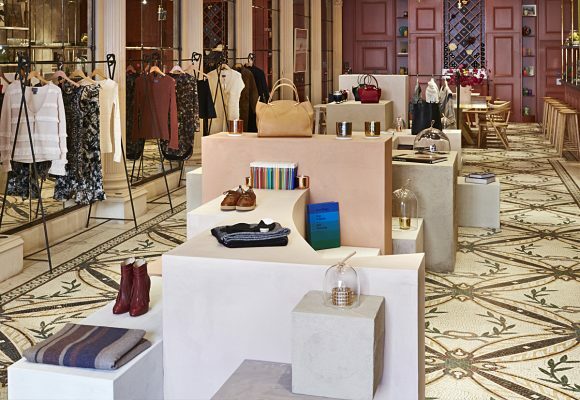 Maiyet, the highly regarded ethical, luxury fashion brand, known for partnering with global artisans, opened their first London bricks and mortar store in the form of a three-month pop up in Mayfair in October. Cornish clay and artisan plasterers. 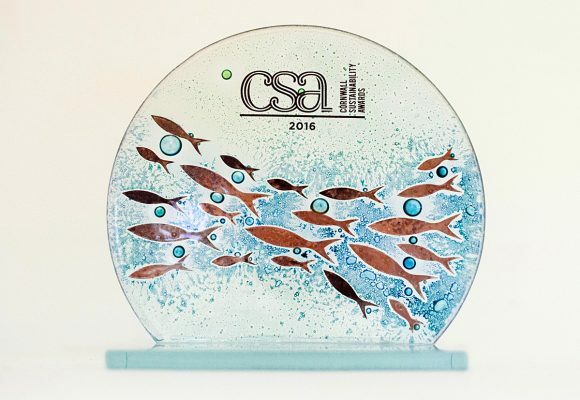 “Cavendish Studios who designed the space are a democratic collective who believe that original ideas are born from lively discourse. Collaborating for this project with artistans who work in Cornish clay they developed a handcrafted sculptural installation designed to dissolve back to the natural materials from which it was formed leaving no environmental footprint.” Maiyet. The artisan plastering was completed by London based Guy Valentine. The Maiyet Concept Store, located at 41 Conduit Street is open until Christmas. Maiyet is a modern, ethical and luxury fashion brand that partners with global artisans to incorporate exquisitely handcrafted details and unexpected fabric techniques into our collections – all sourced globally and made locally. Headquartered in the heart of downtown New York, Maiyet partners with artisans in places such as India, Indonesia, Italy, Kenya, Mongolia, Peru, Bolivia and Thailand. Clayworks deeply respects the company’s philosophy. The team of Maiyet is motivated and empowered by the promise of preserving ancient artisan techniques and elevating the next generation of master craftsmen from places such as India, Indonesia, Italy, Kenya, Mongolia, Peru, Bolivia, Japan and Thailand. From textile weaving in Varanasi, India to sourcing cashmere fiber from Outer Mongolia, Maiyet has worked with the world’s most extraordinary talents in techniques as diverse hand knitting, macrame, crochet, hand block print development, reverse appliqué, embroidery, batik, shibori, metal working and hand carving. For more pictures please also see our full feature gallery post.